I’ve gotten back from Cambodia. 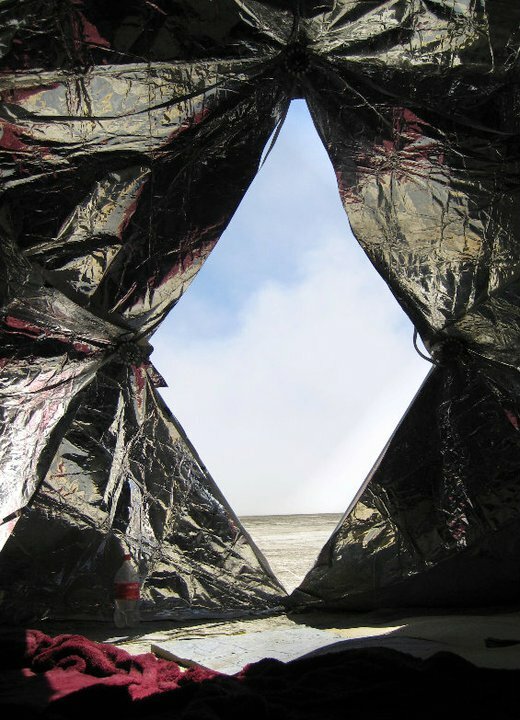 I was basking in fun under the sun at Burning Man 2010. I started my 2nd year at The Fletcher School of Law and Diplomacy. I’ve posted a blog on Asi es la vida. It’s time to start writing again. In addition to irregular posts at Asi es la vida, I will now also begin irregularly blogging forThe Fletcher School of Law and Diplomacy. Fletcher has several blogs. This summer I posted a few on “Fletcher Reflections” and I’ve since joined the “Year in the Life of….” [insert name of Fletcher student] crew of bloggers. So. Why? You might ask, did I decide I wanted to blog for The Fletcher School of Law and Diplomacy? Now that we are clear, I’ve said it once and will say it again: If you have to come back to anywhere from an awesome, fun-filled summer, The Fletcher School of Law and Diplomacy is a fantastic place to land! It’s been wonderful being back. Everybody talks about the community at Fletcher and they are not exaggerating. The people, the places, the comeraderie, and most of all, the fun (!) that can be had while pursuing a degree in the field of international affairs, law, and diplomacy. Now that I’m settled and nestling back in, I’ll be bringing you up-to-speed on the pulse of a(nother) year in the life of… Me. Talk to you soon ya’ll. 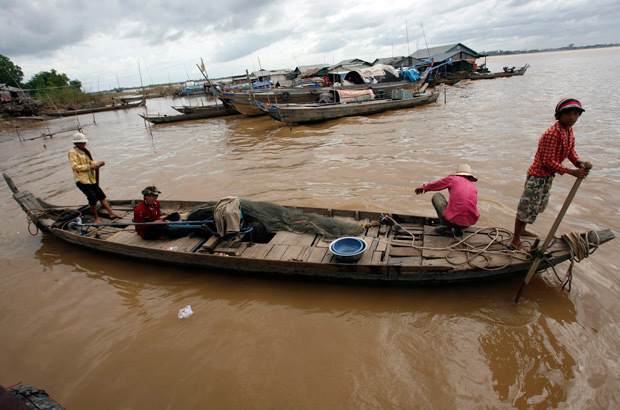 Cambodia: Where have all the forests gone? 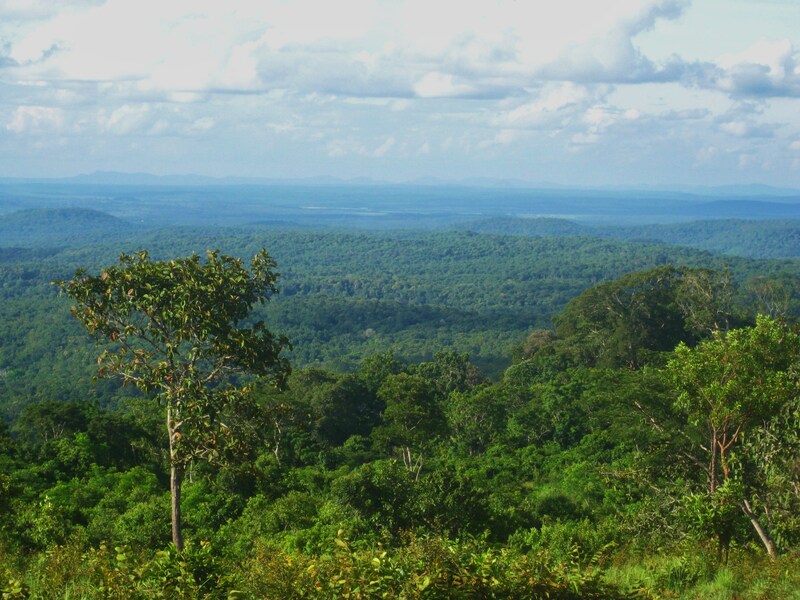 Traveling through Mondulkiri province in the northern highlands of Cambodia earlier this month, I found myself on the top of a hillside, taking in deep breaths of crisp fresh air, and enjoying the peaceful view onto the “sea of trees”. But somewhere in the back of my head I was thinking about the terrible stories I’ve heard about deforestation in Cambodia and couldn’t help wondering if this was an anomaly, or how long these trees would be there? 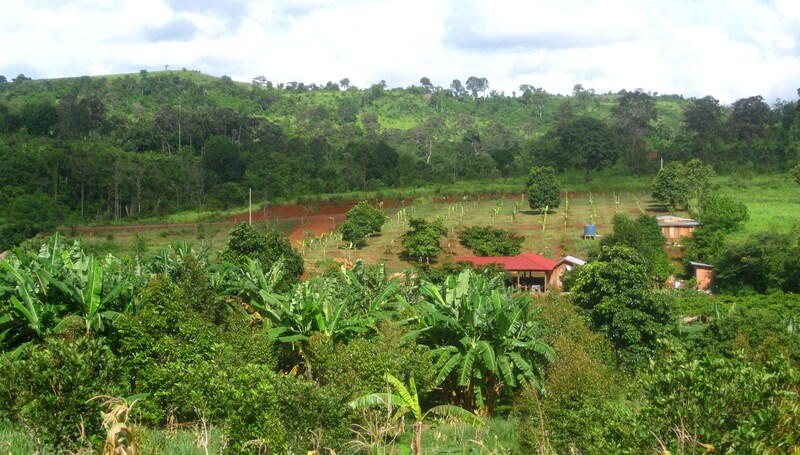 Cambodia is ranked the 3rd worst country for deforestation rates in the world. 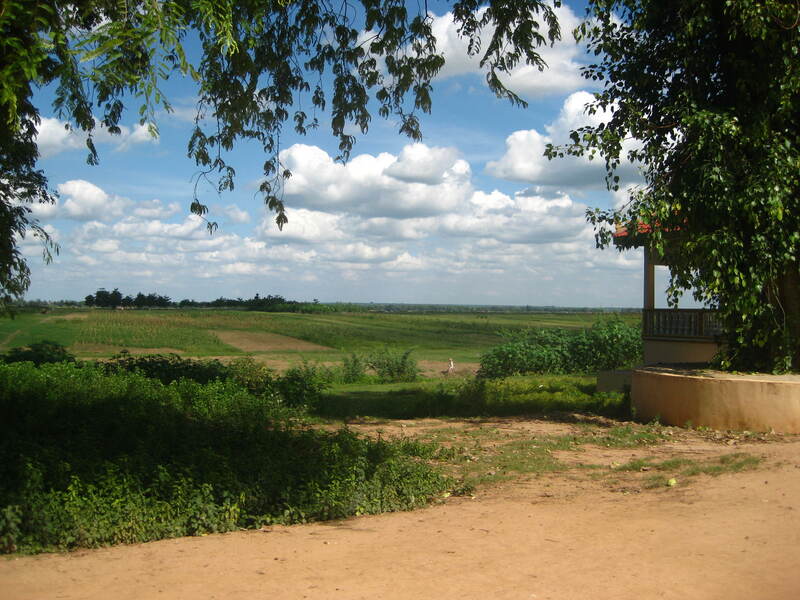 I’ve heard people in Phnom Penh say, where you would once find vast forests in the northern regions of the country, there are now long stretches of green plains, hills, and farmland. According to a recent article in the Phnom Penh Post, illegal logging continues despite Prime Minister Hun Sen’s efforts to make clear he would no longer tolerate military involvement in the facilitation of illegal logging. 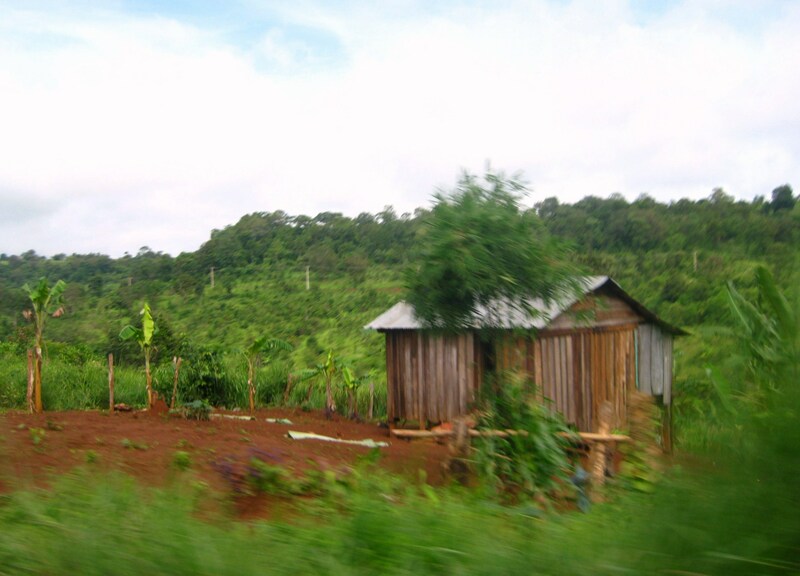 His announcement of a crackdown on all illegal logging has been largely ignored as a lack of enforcement, local official’s involvement in it, their implicit impunity, and a back-log of legal cases that would hold individuals accountable for illegal logging, all seem to contribute to a continuation of the status quo. 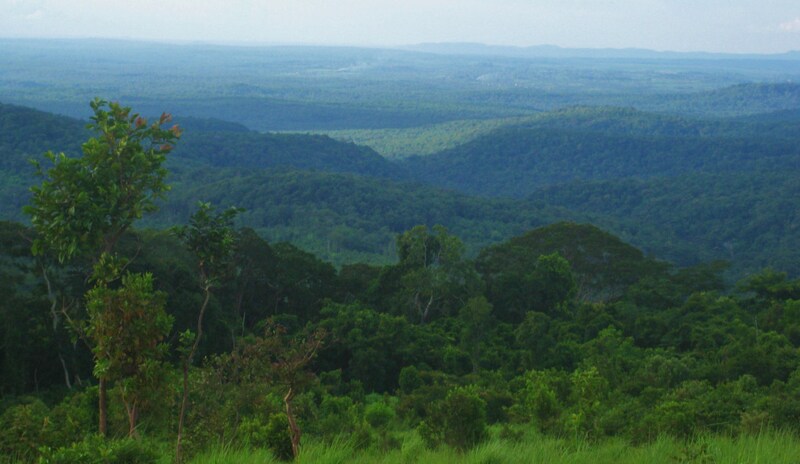 It is clear that the current laws alone are not enough to halt natural resource destruction in the Cambodia’s forests. SRP lawmaker Mu Sochua speaks to reporters at the Supreme Court after her defamation conviction was upheld in June. PHNOM Penh Municipal Court has authorised the National Assembly to withhold Sam Rainsy Party lawmaker Mu Sochua’s salary to pay an 8.5 million-riel (US$2,023) fine levied against her for defaming Prime Minister Hun Sen. In a citation dated Tuesday and signed by Judge Chea Sok Heang, the court said the parliament’s financial department would withhold her monthly salary of 4,204,899 riels until the full amount was recovered. It said the docking of her pay did not require her consent. “Mu Sochua must not block or prohibit an official in charge of salaries at the financial department of the parliament from seizing the debt. The president of the financial department of the parliament must carry out the above decision,” the citation read. In July last year, Phnom Penh Municipal Court convicted Mu Sochua of defaming Hun Sen after she filed her own defamation lawsuit against him. The conviction has been upheld on two appeals since. Last month, the court authorised parliament to withhold an additional 8 million riels in compensation that she owed the premier. When contacted yesterday, Mu Sochua said she had never agreed to pay the fine, and that docking it from her salary was a violation of her rights. “This court system is an unclear system and it is a political tool,” she said. She described the docking of her pay as a form of “force” and “intimidation”, but said she would live to fight another day. “My political life will be alive until the end of my life. 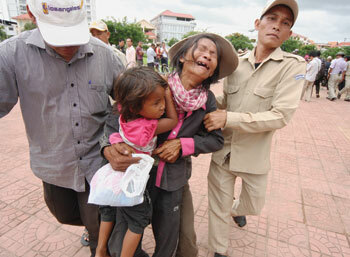 This injustice makes me want to continue my politics,” she said. Cheam Yeap, a senior lawmaker for the Cambodian People’s Party, said he had not seen the court citation, but that Mu Sochua’s pay would be docked once the parliament’s Permanent Committee met to approve the decision. Cambodia hit the international news circuit this week with the announcement of a verdict in the first case before the Extraordinary Chambers in the Courts of Cambodia (ECCC or “E triple C”) convicting Kaing Guek Eav (alias “Duch”), head of the infamous S-21 Toul Slang prison, of war crimes and crimes against humanity and sentencing him to 35 years in prison. The sentence received mixed reactions from Cambodians and the international community, ranging from pride for completing the trial to outrage for the leniency and omission of certain victims’ claims. 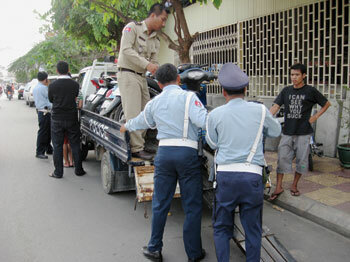 Still others believe it is too late for “justice”, the accused are old, well-fed in prison, and even if found guilty they will hardly be punished, and argue the money could be better spent invested in the people of Cambodia today. The ECCC is one of several international criminal tribunals established for the purpose of trying individuals for war crimes, crimes against humanity, and genocide within the countries where those atrocities took place. Similar courts were established in the former Yugoslavia, Rwanda, East Timor, and Sierra Leone. These courts have been established in one of three ways: 1) by coercion through the Security Council (ICTY & ICTR) 2) by consent with a host government (ECCC), or 3) as part of a transitional administration (East Timor & Kosovo). 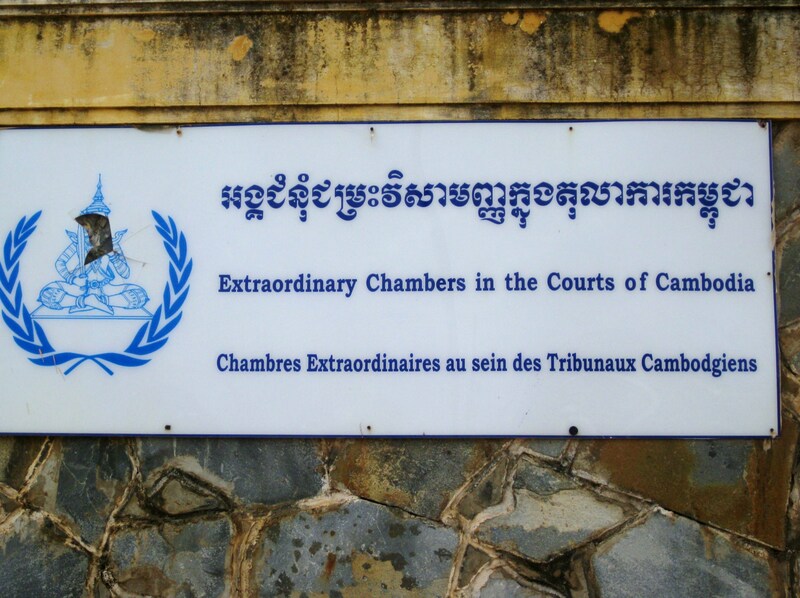 The Extraordinary Chambers in the Courts of Cambodia is a hybrid court system established in an agreement between the Cambodian government and the United Nations. It is a Cambodian Court, established through the domestic court system (rather than by UN resolution or treaty under the Rome Statute). It follows international legal standards and is considered “extraordinary” in that it applies not only the Cambodian Criminal Code (e.g. murder, torture, religious persecution) but also International Laws (e.g. genocide, crimes against humanity, war crimes) as well. The court is comprised of 3 Cambodian lawyers and 2 International (UN-appointed) lawyers, 4 Cambodian and 3 internationally-appointed judges, and business is conducted in Khmer, English, and French. It is the first international tribunal using a Civil Law legal system. The hybrid courts of the ECCC took many years of negotiation between the Cambodian government and the United Nations to establish and have received plenty of criticism along the way. Most notably for their failure to contain (perceived) outside political interference by the ruling party, and inability to address conflicts of opinion and judgment between the Cambodian and International representatives of the court. In the most recent incident, in response to the International Investigating Judge’s pressure to decide, the Cambodian Investigating Judge signed and then later crossed-out his rugatory signature endorsing the investigations into additional Khmer Rouge Trial cases known as 003 and 004. These cases are believed by some to involve charges against officials connected to members of the current ruling party and thus are politically unpopular. Cambodian Prime Minister Hun Sen has been public with his view against further investigations for fear they could lead to political instability or even internal war. Nevertheless there is a lot to be said in favor of the ECCC, not only for their role in holding individuals accountable for the heinous crimes they allegedly committed under the Khmer Rouge regime. 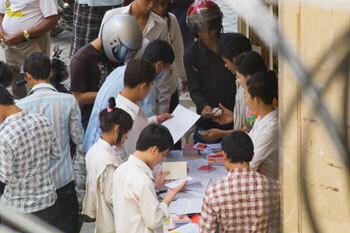 The courts, in conjunction with Cambodian NGOs, have worked to incorporate Cambodian people into the process of the courts. When the trials first began there were over 31,000 people who wanted to be a part of the process by attending the trial. They organized busses from the provinces and they now do even more outreach to villages and schools, offering tours of the Toul Slang Museum and the ECCC premises free of charge. 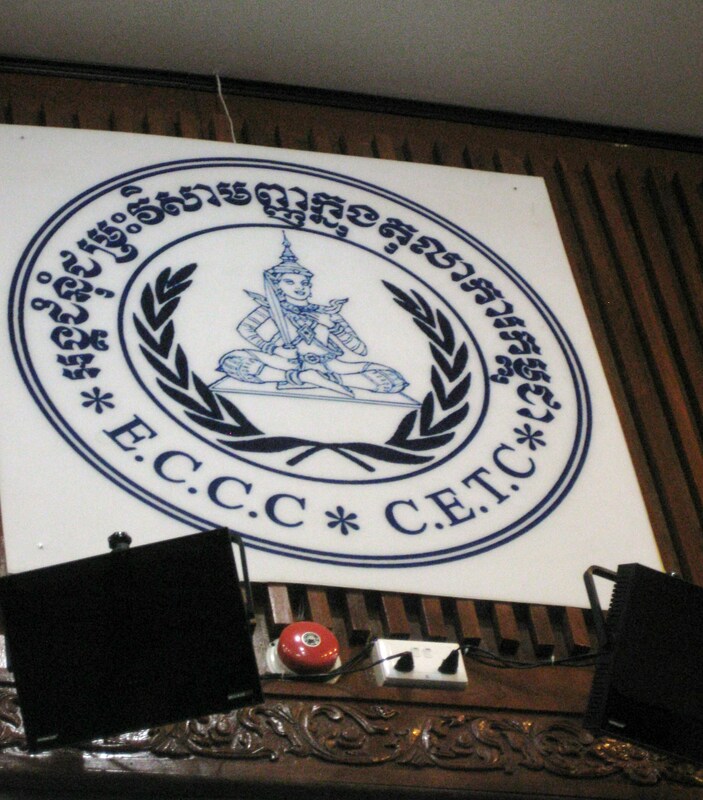 In addition, many people believe the ECCC court sets an important example for accountability and the rule of law, with hopes that by holding the courts to international legal standards and practices, they may be helping to pave some of the road in Cambodia’s transitional justice process as well. In fact just days before the announcement of a verdict in Duch’s case, the Cambodian government allowed the first public screening of “Enemies of the People”, a film with incredible footage of intimate interviews with individuals in charge of mass killings in the countryside, and some of the most senior Khmer Rouge officials, including Nua Chau aka “Brother Two” who worked side by side with Pol Pot in leading the regime during the Khmer Rouge from 1975-1979. 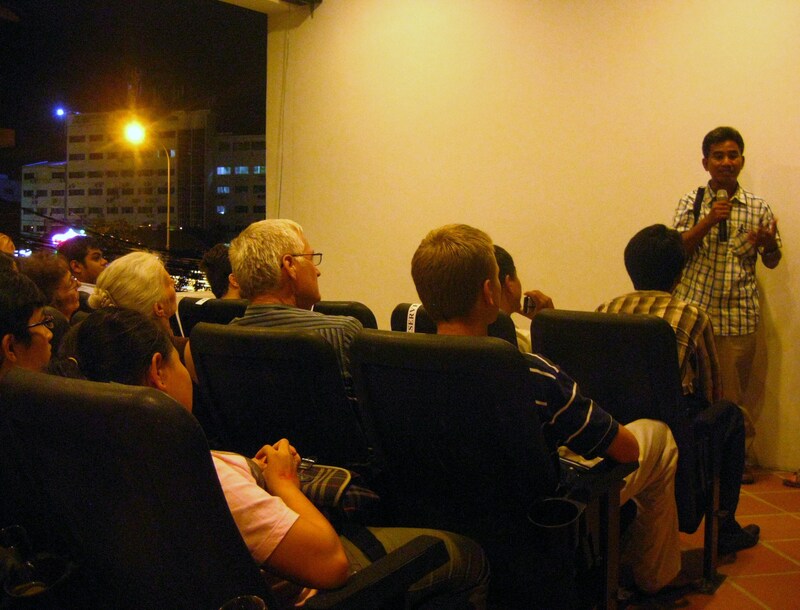 In a post-screening discussion with filmmakers, Thet Sambath and British documentarian Rob Lemkin, I began to think about other methods of healing and transformation that might be important for Cambodia as a nation, as a people, and for individuals alone to overcome the tragedies that took place during the Khmer Rouge. It became apparent that the film, in its ability to illuminate truths that have so long been denied by those in the Khmer Rouge regime, and its screening in Cambodian communities around the world, could be one important step in that transformation. For all of its challenges along the way, it seems at least for some, the ECCC is certainly another one of those steps in that process as well. First off… Happy Birthday to my wonderful Papa Dan! Biggest news of the day in my sphere is my dad turning an impressive 65 today! Wisdom speaks louder than words and his will continue always to echo in my ears. As many of you have seen, the international news from the Cambodia front has been the announcement of (alias) Duch’s judgement at the EC on Monday. I’ve included a few items and hope to post something myself later this week. Until then, here are some news stories from this past week! THE head of the Cambodian Independent Teachers Association yesterday accused officials in Kandal province of ordering teachers administering Grade 12 national exams to take money from students, part of what he described as worsening corruption surrounding the three-day tests. Khmer Rouge prison chief Duch will appeal against his conviction by Cambodia’s UN-backed war crimes tribunal, which sentenced him to 30 years in jail, his defence lawyer said Tuesday. Duch, whose real name is Kaing Guek Eav, was found guilty of war crimes and crimes against humanity by the court on Monday in a ruling that has been hailed as a “historic milestone” in tackling impunity in the country. Mu Sochua, a female MP of Cambodia’s opposition Sam Rainsy Party, faces jail for refusing to pay 4,000 dollars in fines and compensation on a conviction last year for allegedly defaming prime minister Hun Sen. The UN High Commissioner for Human Rights has called the proceedings against her an example of the “alarming erosion” of Cambodia’s free speech and judicial independence. 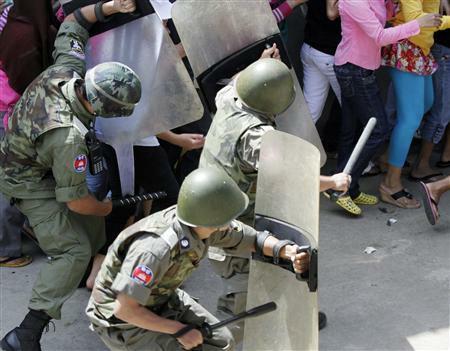 At least nine female garment workers were injured on Tuesday in clashes with Cambodian riot police who used shields and electric shock batons to try to end a week-long strike over the suspension of a local union official. Sithi.org, a Cambodian human rights portal that aims to crowdsource and curate reports of human rights violations, officially launched on July 22, 2010 with participation from various institutions including embassies, international and local NGOs, media and university representatives. 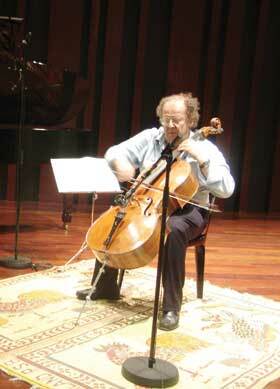 Over the past year, the site has developed rapidly. A number of reports of human rights violations, relevant legal instruments and publications have been made available on the site. In March 1999 an old man wandered up to an Irish photographer on his day off in a village in Cambodia. 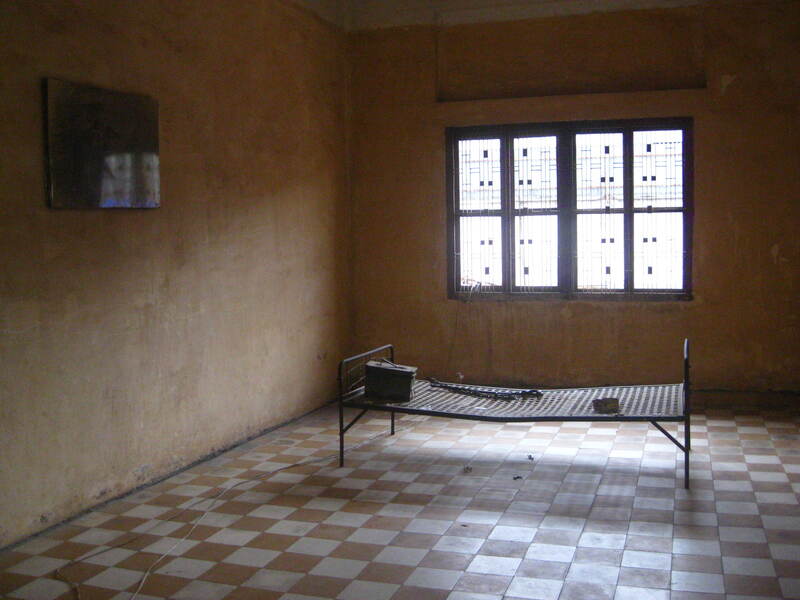 It was Duch, the torture chief of the brutal Khmer Rouge regime who many assumed was long dead. The Cambodia’s ruling party — the Cambodian People’s Party (CPP) on Thursday reaffirmed at it plenum Hun Sen’s candidate for prime minister post for the next terms. “The plenum reaffirms its endorsement of Samdech Akka Moha Sena Padei Techo Hun Sen’s candidacy for the post of prime minister for the next terms,” announced the party’s communique released at the ending of the 35th Plenum of the Fifth-Term Central Committee of the CPP.